Extrusion pump is covered by the pump, the front and rear, balanced bearings, main driven shaft, safety valve and mechanical shaft seal and other component parts. The main drive gear is a helical gear set consists of four helical gears, the safety valve using differential structure. Full range of gear pumps with claw flexible coupling and electric motor pump unit. Forced lubrication column horizontal arc gear pump is mainly used in petroleum, chemical, metallurgy, mining, power plants, environmental protection and other sectors of compressors, refrigeration machines, ships and other large machinery equipment and a variety of mechanical equipment lubrication oil station supply system long-term continuous operation of the occasion. 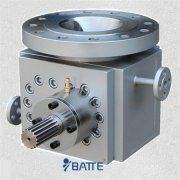 Reasonably determine the extrusion pump working speed, so that rotation of the gear shaft to avoid engaging with the resonance frequency noise can be prevented from increasing. Because it is easy meshing frequency resonance occurs when the natural frequency is close to the gear train. Using appropriate isolation techniques can prevent vibration transmission into adjacent structures go. 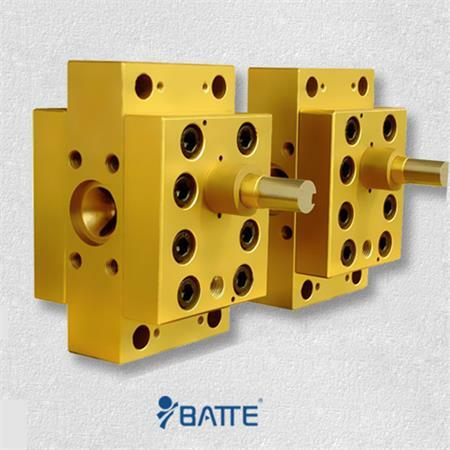 For this reason, extrusion pump and drive motor should be connected by a flexible coupling, and is mounted on the same substrate, in order to ensure concentricity, the bottom plate mounted on elastic supports, isolation effect can be further improved. 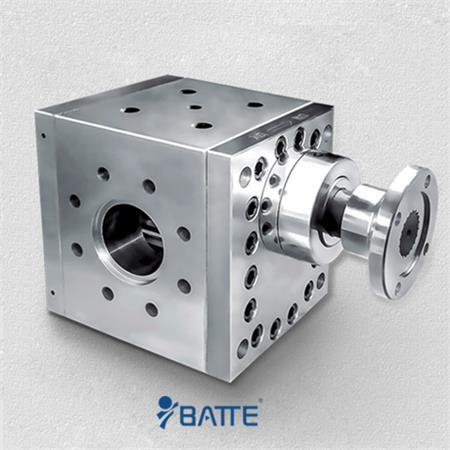 Setting an expansion chamber or accumulator describe the gear pump outlet pipe to absorb pump pressure pulsations or pressure inside the pipe buffer mutations, it is an effective means to control high viscosity gear pump noise. Abnormal we use extrusion pump gear pump must pay attention to the appearance of working time so that the gear pump life can be long. 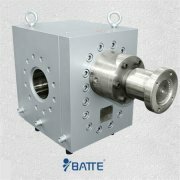 We have learned in physics over-voltage and rated voltage, the same is also present in the extrusion pump rated pressure gear pump at work, we use the gear pump when the gear pump must be careful not to exceed the allowable working pressure. Extrusion pump rated pressure is the maximum allowable pump pressure during continuous operation, and its working pressure is determined by the external load, the pump pressure is directly related to their work life. For infrequent work gear pump, the working pressure of the pump rated pressure desirable, taking into account the different product quality, the rated pressure will be reduced by 20% to 30% use. For regular work of the gear pump at higher pressure, the working pressure should be lower than the pump rated pressure of 1 to 2 pressure levels. Petrochemical equipment often is 24 hours of continuous operation, when the pump working pressure should be made much lower than the rated pressure and working speed should be lower than the rated speed. If the high viscosity gear pump working pressure adjustment is too high, the gear pump will run under overload.